Set in a rural site with views over Salisbury Plain, Wellington Academy is a non-selective state school with specialisms in languages, business and enterprise, performing arts, science and technology. 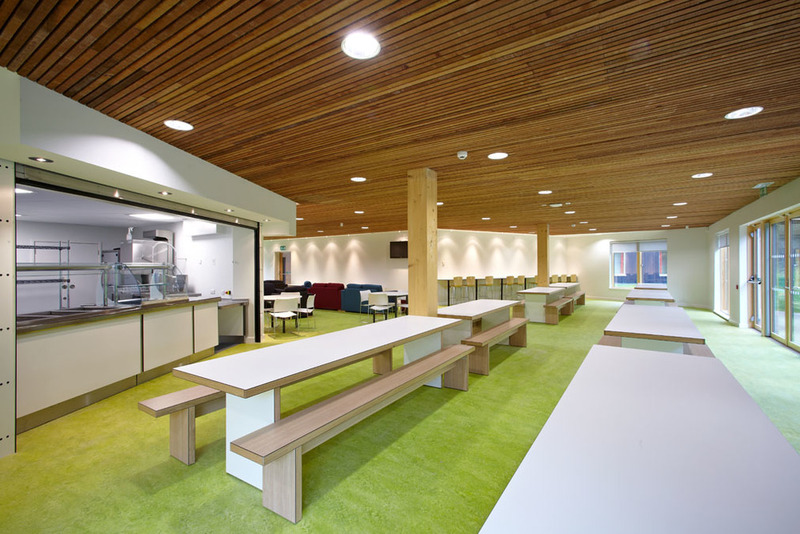 The central heart space links to four separate common areas acting as gateways to the main school within the academy. Other features include a learning hub for the community, a 300 seat theatre and twin boarding houses for 100 students. Nearly half the students are drawn from service families and the school is sponsored by the independent school Wellington College. A wide variety of spaces for formal, informal and unplanned learning, independent boarding house.